Pineapples recently became the the fastest growing fruit at Britain's biggest supermarket, Tesco, and on the world stage the fruit has been enjoying similar, if more measured, success. According to a report by AI-based market researcher IndexBox, the international wholesale market for pineapple grew to a value of $14.9 billion in 2016, with market growth in Asia set to propel the category further. This figure reflects total revenue of producers and importers, excluding logistics costs, retail marketing costs, and retailers’ margins, which are included in the final consumer price. 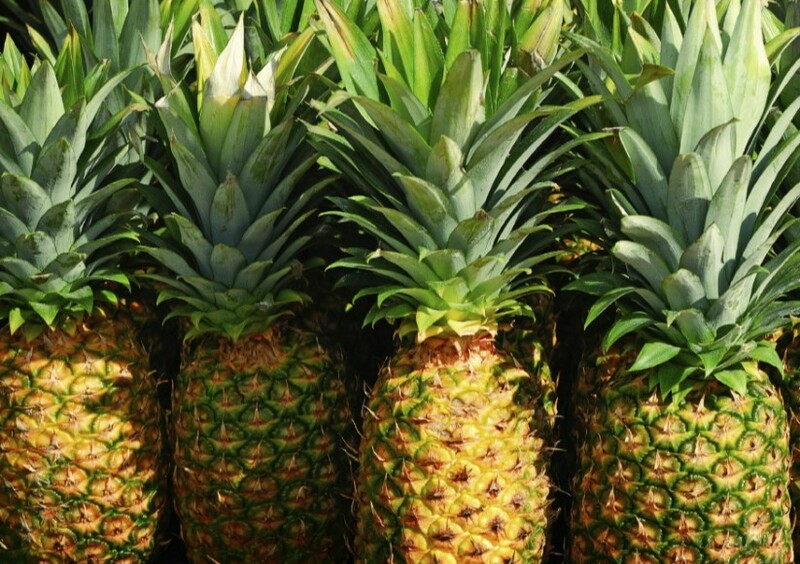 There was a five per cent decline in market value in 2009 followed by steady growth through until 2016, and according to IndexBox, pineapple sales reached 26.4 million tonnes in 2016, growing by an average of 3.3 per cent a year over the last nine years. In the last 12 months, however, pineapple consumption growth has slowed compared to previous years. The analyst predicts that pineapple consumption will continue to grow at a moderate pace thanks to rising income and population growth in Asia, as well as marketing campaigns promoting a healthy, balanced diet. 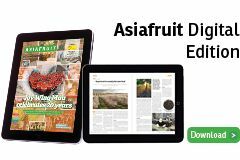 The rapid expansion of Asian markets will be the main factor that pushes up global pineapple consumption, with China, Indonesia, India, Vietnam and the Philippines seeing particularly strong consumption growth. IndexBox predicts that demand for the fruit will also continue to grow in Latin America, notably in the Dominican Republic and Costa Rica, thanks to sustainable urban growth and rising living standards. “An increasing number of consumers are demanding fresh fruit, which is becoming possible due to the development of storage technologies,” the market research company said. “An increasing demand for canned pineapples worldwide is also a factor, especially in the Philippines, Indonesia and China, which experienced a noticeable growth in canned pineapple exports over the recent years. Overall, the analyst expects population and income growth to continue to push up demand for the fruit, with the trend for healthy eating and use of pineapples in cooking and fast food also bolstering consumption. In addition, the development of e-commerce and the development of storage technologies have made fruit consumption both more affordable and more convenient. Thanks to these various factors, market growth is forecast to accelerate slightly in the coming years, with an anticipated compound annual growth rate of 2.9 per cent from 2016 to 2025. This is expected to increase market volumes to 34.2m t by the end of the period. Brazil gets through more pineapples than any other country, accounting for 11 per cent of global consumption. It is followed by the Philippines and Indonesia (eight per cent each); India (seven per cent); China (six per cent); Nigeria and Thailand (five per cent each); Costa Rica and the US (four per cent each); Angola, Mexico, Colombia and Ghana (three per cent each); and Vietnam and the Dominican Republic (two per cent each). Together, the remaining international markets made up 24 per cent of total global consumption. Ghana had the highest annual growth rate in pineapple consumption between 2007 and 2016, up 38.4 per cent, while Angola grew by 28.3 per cent during the period. Dominican Republic and Costa Rica saw the next fastest growth, up 23.4 per cent and 22 per cent respectively. All these countries strengthened their share of total global consumption during the nine-year spell, while Brazil and Thailand suffered a considerable decline, down three per cent and nine per cent respectively. Among the leading consuming countries, high levels of per capita consumption were recorded in Costa Rica (242 kg per year), Angola (31.1 kg per year), the Philippines (21.2 kg per year), Thailand (20.6 kg per year) and Brazil (13.4 kg per year). All these countries consumed greater volumes than the world average of 3.6 kg a year, and in both Costa Rica and Angola per capita consumption grew rapidly from 2007 to 2016. Global pineapple production reached 26.9m t in 2016, following an upward trend over the last nine years. Between 2007 and 2009 the volume of production remained relatively stable, followed by tangible growth over the next three years. Subsequently, that upward trend decelerated slightly but remained positive through until 2016, with volumes growing by 3.4 per cent a year on average from 2007 to 2016. Costa Rica was the world’s biggest pineapple producer in 2016 with an output of about 3.2m t, accounting for 12 per cent of total global output. The other major producers were Brazil (10 per cent), the Philippines (10 per cent), Indonesia (eight per cent), India (seven per cent), China (six per cent), Nigeria (six per cent), Thailand (five per cent), Mexico (three per cent) and Angola (three per cent). In Angola, production levels increased by 28.3 per cent a year from 2007 to 2016, largely due expansion in harvested area, while Thailand saw a 7.4 per cent annual reduction for the same reason. Most other major producing countries saw output rise significantly, with annual growth rates especially high in Costa Rica (up 8.3 per cent), China (up 6.6 per cent), Nigeria (up 5.4 per cent), Indonesia (up 4.7 per cent) and India (up 3.9 per cent). Pineapples are a widely traded commodity, with exports accounting for about 13-14 per cent of total global output between 2007 and 2016. High trade intensity is determined mainly by the substantial distances between the main countries of pineapples manufacturing and key consuming countries. In 2016, global export volumes reached 3.6m t, following fluctuations over the last few years. After shrinking by 10 per cent in 2009, exports increased gradually over the next five years, but in 2015 they fell again, before bouncing back again the following year. Costa Rica was the world’s biggest exporter in 2016, making up 56 per cent of global exports. 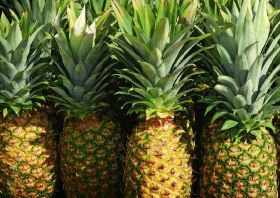 The Philippines (16 per cent); the Netherlands (seven per cent); Belgium, the US and Mexico (three per cent each); and Ecuador (two per cent) were the main global suppliers of pineapples. From 2007 to 2016, Mexico and the Philippines were the fastest-growing suppliers among the major exporters, with shipments increasing by 11.6 per cent a year and 8.3 per cent a year respectively. Despite being among the largest global producers of pineapples, Brazil, Indonesia, India and China did not export much of their crop, with the bulk consumed domestically. Costa Rica and the Philippines both saw their share of global production increase by six per between 2007 and 2016, set against a two per cent contraction in Ecuador and a six per cent reduction in Belgium. The respective share of the other countries remained relatively stable throughout the period. Global pineapple imports totalled $2.5 billion in 2016, with an average annual growth rate of 1.6 per cent over the nine years. In volume terms, pineapple imports reached 3.1m t in 2016 – seven per cent more than the year before. Among the main importing countries, the US was the largest importer of pineapples, with a 34 per cent share of global imports. It was followed by the Netherlands (eight per cent); Germany (five per cent); Spain, the UK and Japan (five per cent each); and Italy (four per cent). All these countries, including the US, together accounted for 66 per cent of global pineapple imports. Up five per cent a year, the US was the fastest growing supplier among the major exporters, followed by the Netherlands (up 3.7 per cent), Spain (up 2.9 per cent) and the UK (up two per cent). By contrast, Japan decreased saw its imports drop 1.6 per cent from 2007 to 2016, while the US increased its share of the imports market from 27 per cent in 2007 to 34 per cent in 2016. The respective share of other countries remained relatively stable.